The democratization of broadband Internet requires daily discharges of billions of data on the Internet, whether video, images, sounds, text, data…. submitted by individuals, companies and even government agencies. This is what we call the “big data”, a term that implies a bit of marketing but explains a reality: the amount of data sent, received and stored every second has become so important that it is almost impossible to check them with traditional analysis tools. Every day, 118 billions of emails are sent around the world and 2,450,000,000 different contents are posted on Facebook (big data). And this flood of data over the Internet is not going to decrease since by the beginning of 2020, it is estimated that every month, there will be 10.4 zetta octects and 10 400 billion gigabytes of data dumped on the Internet. Humans are not the only ones being responsible for this flood of information. The equipment that we use at work or at home are indeed increasingly connected: cars and home automation tools are increasingly equipped with sensors to provide information on their environment, temperature, etc … The development of social networks and smartphones with all the possibilities of creating and sharing content they offer have changed the situation. More companies do seek to exploit the big data, which represent a wealth of information, as long as they can be analyzed. Publishers and computer software companies have developed sophisticated techniques to analyze this data in a comprehensive manner. Marketing, for example, now operates all available data on a client, without hierarchy: age, occupation, where they shop close to home … The goal is simple: to know which customer to focus on, which client to keep and what is the most profitable customer. A company that works for mobile companies in France have announced a customer database of 20 million subscribers. All location data is collected and stored. They can be exploited only if the operator wishes, says the CEO of this company. Thanks to the “big data”, we can contact the customer offers couponing on his smartphone when he stand by a store. But they can also invade your privacy without you knowing it and without you approving it. 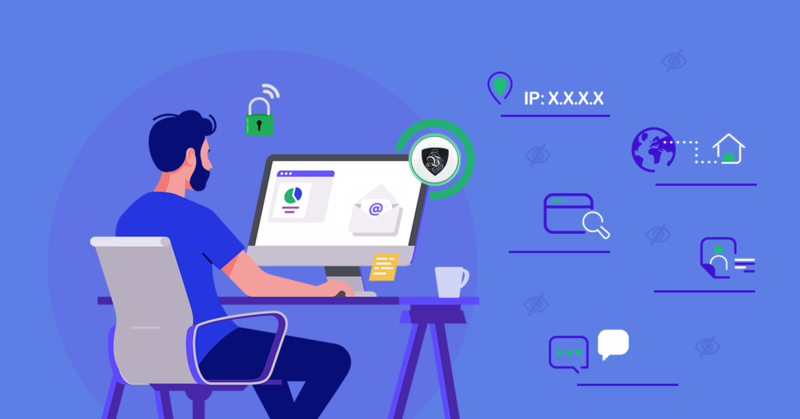 Choosing a VPN service allows you to stay anonymous on the Internet: a VPN offers a secure internet connection with an IP address for an anonymous Internet usage, free of restrictions. A VPN will encrypt your Internet connection with a top secret encryption level. Even your ISP cannot detect sites you visit or downloads you do. It protects you from hackers and eavesdroppers listening or trying to get your sensitive information.